A plain white/grey t-shirt is something I can't live without in my wardrobe, a staple item without a doubt, but why stop at a plain t-shirt? 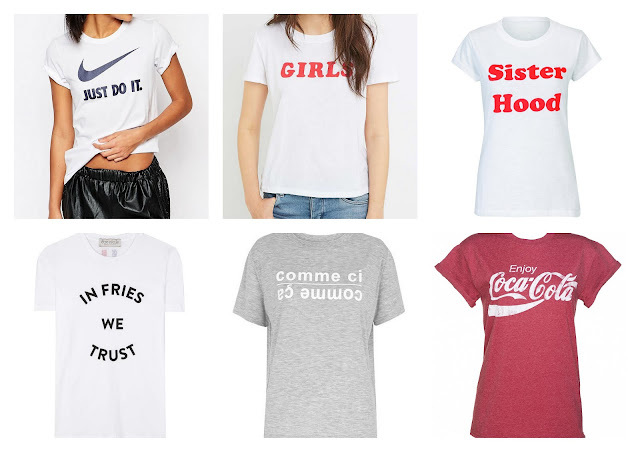 Slogan tops have been around for years and it's become more popular over time. 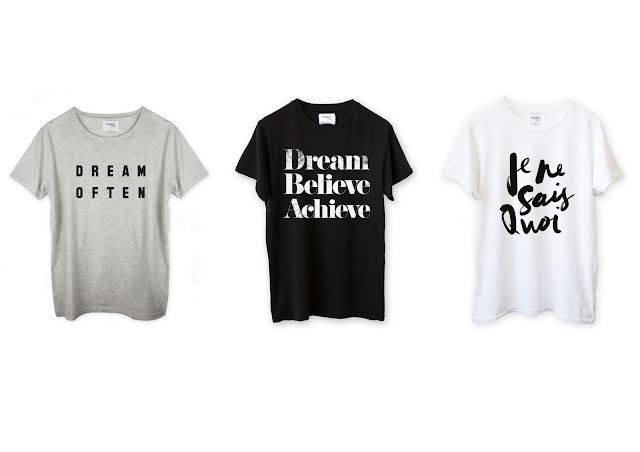 If you're looking for fuss-free simple designs, Julie Sariñana's from Sincerely Jules sells the perfect selection of t-shirts. The t-shirts are simple with catchy phrases and come in three essential colours. You can shop her whole range on here, where she includes a few other staple items too. A catchy phrase/word or a retro logo t-shirt will lift any outfit and make you stand out. 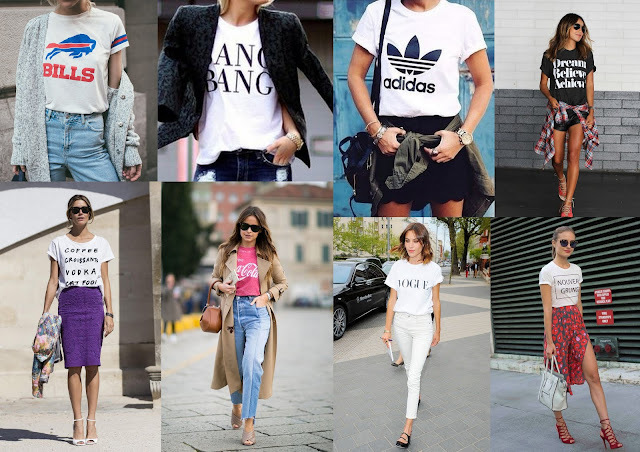 My favourite look is to wear the t-shirt tucked into a pencil skirt or a pleated skirt. Keep the slogans simple but catchy and wear with anything. 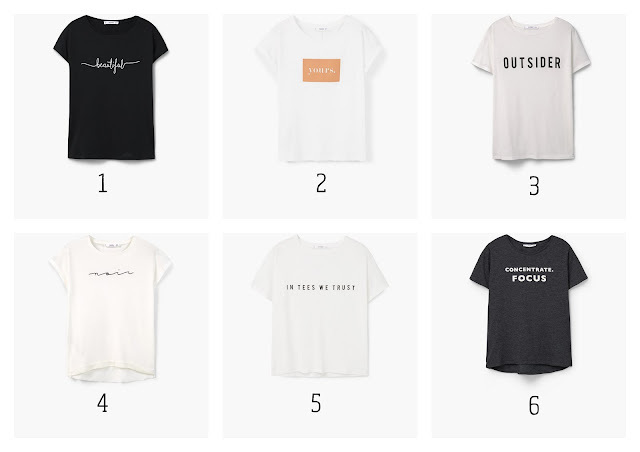 Mango has a huge selection of slogan/graphic tees, here are few of my favourites.